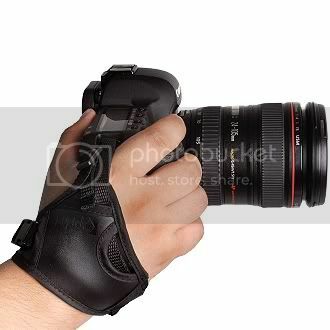 The Opteka GS-2 is a ergonomically designed padded grip strap made to fit most Digital SLR cameras. The GS-2 provides a secure, one hand grip to your DSLR camera, stabilizing your shot and alleviating fatigue during extended photo shoots. It attaches via the tripod mount. You may still use a tripod with the strap attached.